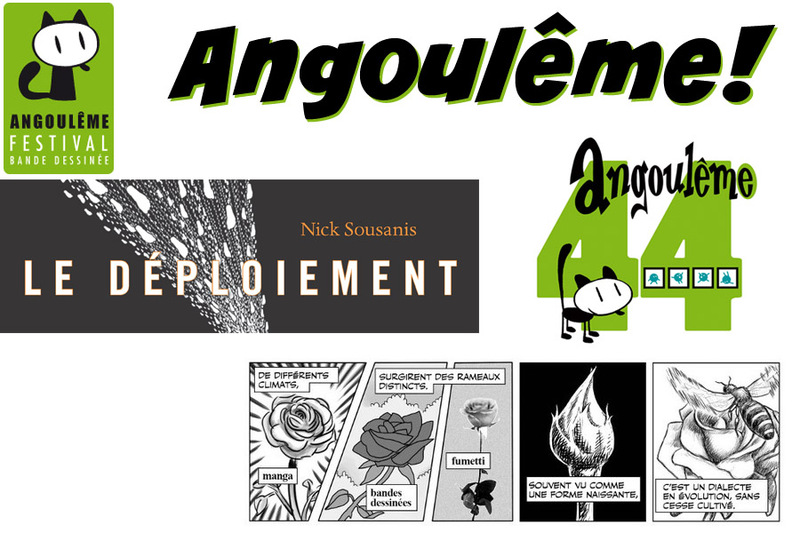 This coming week I’m thrilled to be attending the 44th Annual Angoulême International Comics Festival! This yearly event transforms this town in the west of France into the 3rd largest and one of the most prestigious comics festivals in the world. 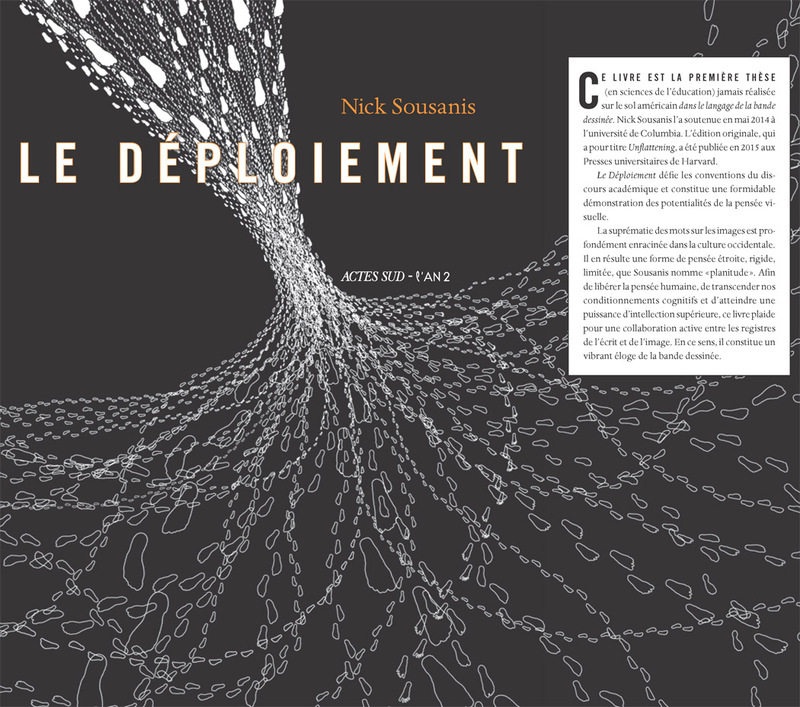 I’m going as the guest of the French publisher of Unflattening (as Le Déploiement) Actes Sud. The invite is from my editor there, comics theorist Thierry Groensteen, whose book “The System of Comics” was one of the most influential on my thinking on comics and I’ll be greatly pleased to meet him. 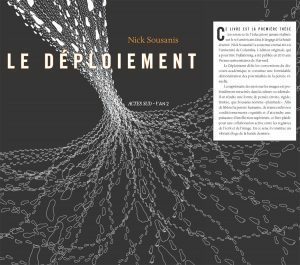 The festival runs January 26 through the 29th, and I’ll be signing at the Actes Dud L’An 2 booth (N44, Le nouveau monde) Thursday, Friday, and Saturday. Exhibitor directory here and general info on Angouléme and the festival here. Earlier that week, I’ll be leading two days of workshops for students in the Masters in Comics program at the European School of Visual Arts Angouléme! This is one of the few advanced degree programs that brings together comics practice and scholarship, and I’m looking forward to working with everyone there. I’ll be the guest of comics historian Thierry Smolderen, the author of “The Origins of Comics,” which is a wonderful look at exactly what it says, and indispensable for teaching the history of comics. (Both Thierrys books were translated into English by my former postdoc supervisor, comics scholar Bart Beaty – nice to bring all these connections full circle!) 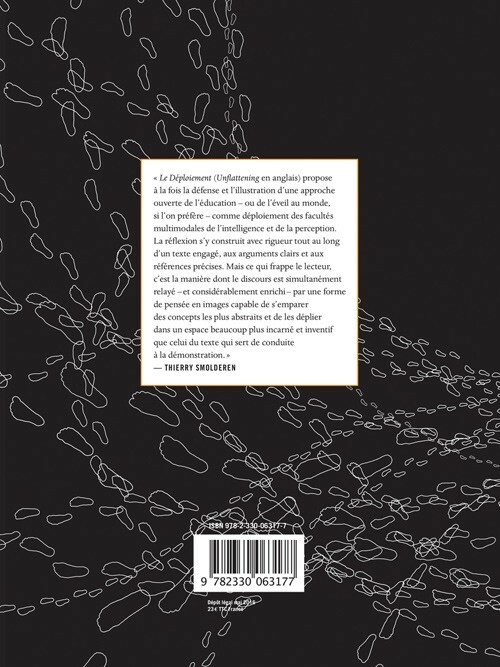 On Wednesday the 25th, at 4pm also at the EESI School (in Salle aux Colonnes), I’ll also be giving a public talk on Unflattening before the Festival starts. Grateful for this opportunity and excited to connect with terrific French comics creators, theorists, and students! These events all come as we move forward towards launching a Comics Studies minor at SFSU (as previously announced here) and I start up my first two comics classes at the university. A few other things of note. 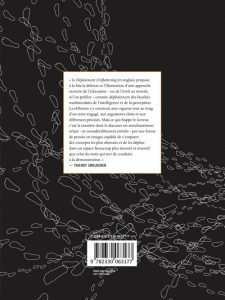 I did an interview for Meaning of Life TV in conversation with professor Stephen Asma of Columbia College (who also did the review of Unflattening in comics for the LA Review of Books). This was one of the most generative conversations I’ve had of this sort, as we jumped off from the book and into the fear of images, importance of visual literacy, and thoughts on why everyone can and should draw. For me, it drew on my recent classes, questions that have come up in talks, and many things I’ve been thinking on for my next project. I struggle to watch or listen to any of these things I’ve done, but I suspect this will be one I’ll come back to to listen for ideas that came through in the conversation…. The video is online here. “One could argue, I wrote this in some way to justify my own way of being. I am a former professional tennis player/coach who studied mathematics and then pursued art. I also studied Interdisciplinarity, whatever that term means at this point. I like to advance the idea that being able to approach an idea from multiple perspectives inoculates you from being stuck. It doesn’t mean that you won’t get stuck but you will be able to work through it. The reason that I call the book Unflattening and not “Unflattened” is because the minute you think you “have it right” then you have really missed the point. This book is my attempt to figure some things out and make some sense of them that I can share with others. I don’t think that I’ve got any more answers. Reviewers of the book have noted that the book ends with questions. Maxine Greene always liked things that end with open questions and I think I have succeeded in doing that. I have raised questions and proposed a lot of ways for how we can see and for how we can think about our own thinking.” See the full interview here. Some other bits of news: Tom Shapira of the Hebrew comics site Alilon wrote what I think is an extremely thoughtful and indepth review/reflection of Unflattening (at least what I can gather from google translate (here) makes me think so…) And I’m headed to Säo Paulo this August as a guest of the Jornadas Internacionais de Histórias em Quadrinhos – the preeminent academic congress on comics in Brazil. Some words about it in Portuguese in OGRITO here (and via Google Translate). 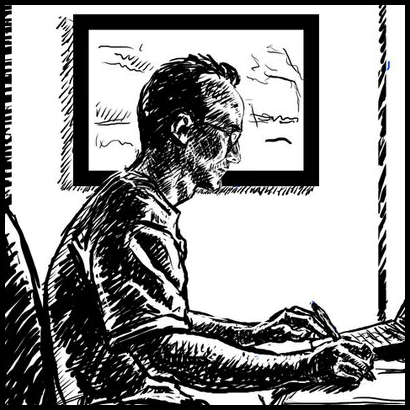 Finally, my brief essay on comics as a powerful means for expressing and composing our thinking that I did for Digital Writing Month a while back, have been re-run as Digital Pedagogy Lab’s highlights of its publishing history. It includes the Grids & Gestures exercise and more, all here.